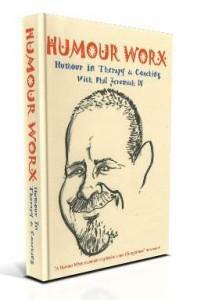 This comprehensive six DVD set “Humour In Therapy & Coaching” is an absolute gold mine for any of us serious about using humour in our therapy and coaching practices as well as a powerful and . An extremely thought provoking DVD recording from a two day workshop. So, here it is a DVD of a Humour Worx weekend. This is specifically for therapists, coaches, change workers and anyone interested in adding and incorporating a real dimension into how you work with cleints. Buy this now and you get the full weekend’s seminar of training that you can watch and learn again and again.